If you have avoided going to the dentist for a long time — even for years or even decades — you are not alone. There are many people who simply don’t like going to the dentist. 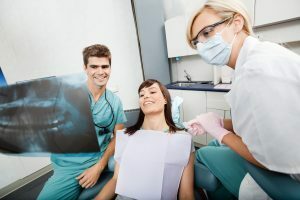 Whether it is out of fear of the pain of dental work or embarrassment about the condition of their teeth, they would prefer to suffer in silence rather than make a dental appointment. The problem is that dental issues like cavities, broken or cracked teeth, tooth decay, or gum disease won’t get better on their own. In fact, they can get worse, become more painful, and spread to other areas of your mouth. Without proper dental care, you could lose all of your teeth in a long, painful process. At McCosh Family Dentistry, we have an important message for those people who haven’t seen a dentist in a long time: It’s not too late. Regardless of the condition of your teeth or how long it has been since you have made a dental appointment, we can help you get rid of your pain and help restore your teeth to their optimal, healthy state. At McCosh Family Dentistry, we specialize in providing comprehensive, pain-free dental care in a relaxing, stress-free environment. If you have always been afraid of going to the dentist, you have nothing to fear at McCosh Family Dentistry because we will treat you as if you were a member of our own family. If you are afraid to smile or open your mouth wide because you don’t want other people to see the condition of your teeth, we can help. McCosh Family Dentistry can help resolve your dental issues regardless of how long they have been going on. We can relieve your pain and restore your bright, beautiful smile.